It can happen to any of us. You gather all your tax documents, you crunch the numbers, and you double check everything on your tax return. Everything is in order, so you drop the return in the mail or click the e-file button on your computer. Then a new W-2 or 1099 arrives for income that you'd forgotten about, or your ex tells you that she also claimed your child as a dependent. Don't worry—it's not the end of the world. You can simply amend your return. Revising your return to correct errors and oversights can be accomplished by filing Form 1040X, the amended return. There are a couple of drawbacks, however. Amended tax returns must be mailed to the IRS in paper form for manual processing. They can't be e-filed. The IRS typically processes an amended return within eight to 12 weeks, but this process can take longer during its busiest times. File amended tax return Form 1040X if you have to correct any information that will alter the tax calculations on your original return. Do not file an amended return just to correct math errors. The IRS computers will check your math and correct any errors in calculation. Form 1040X is for use solely if you entered any erroneous information on your previous return, such as if you failed to report income from a W-2 or 1099 that arrived after you filed, or if you realize that you claimed the wrong filing status. Maybe you filed as head of household only to realize that you don't actually qualify. Likewise, if you have to remove dependents because it turns out you weren't eligible to claim them, you should file an amended return. You should also file Form 1040X if you want to claim additional dependents. Talk with family members first to make sure you're entitled to claim them and that no one else has done so. You might want to make changes to the tax deductions you claimed. You can amend your above-the-line deductions, standard deduction, or itemized deductions on Form 1040X. You can change your personal exemptions as well, at least for the 2017 tax year and on returns for years prior to that. These exemptions were only available through 2017. The Tax Cuts and Jobs Act (TCJA) eliminated them from the tax code beginning Jan. 1, 2018. You can claim additional tax credits that you missed when you filed your original return, remove tax credits mistakenly taken, or recalculate the amount of the credits. You have three years to make any corrections that will result in a tax refund or an additional refund because that's the IRS statute of limitations on issuing refunds. This three-year period begins on April 15 if you filed your original return on or before that date, but if you requested an extension, the three-year period runs from Oct. 15. You can only receive refunds for overpaid taxes that were paid during the previous two years if you're beyond this three-year period. You can't collect for any refundable tax credits you might have missed claiming when you filed your original return. Taxpayers who want to report additional income or correct overstated deductions can file an amended return at any time. The IRS also has three years to audit your tax return, and it might have more time if there's been substantial under-reporting of income. Make sure you have your original tax return and Form 1040X in front of you when you begin working on your amended return. Form 1040X basically summarizes the information you're changing. Form 1040 changed significantly in 2019—when you'd file a return for the 2018 tax year. This new form replaces the old 1040A and 1040EZ returns that were available through tax year 2017. Form 1040X has not changed, however, at least not significantly. The 1040X released by the IRS in January 2019 includes some special instructions if you're amending a 2018 tax return, such as lines you can ignore because personal exemptions are no longer part of the tax code, but other than that, it's suffered no major revisions. If your original tax return, the one you're amending, was a Form 1040EZ or Form 1040A from 2017 or earlier, you might want to prepare a new Form 1040 for that year because you must match up line items from the 1040 to the various lines on Form 1040X. You would not file the new, revised 1040 with your Form 1040X, however. The most important part of Form 1040X is Part III on the second page. This is where you can explain the changes you're making to your previously filed tax return. Clear and concise explanations can help the IRS process your amended return more efficiently. You can prepare a separate statement if you need additional space. "I am reporting additional wages and additional withholding from a W-2 that wasn't included on my previous tax return. This resulted in changes to my adjusted gross income, taxable income, total tax, and my refund." Try to be as concise as possible and point the IRS to the specific changes you're making and where they can find proof of those revisions in your supporting documentation. Indicate the tax year of the return you're amending at the top of Form 1040X. This is a generic form and can be used for any tax year. You'll have to submit separate Forms 1040X for each year if you want to revise several tax returns. Calculations for your refund or the amount you owe the IRS go on lines 18 through 23 of Form 1040X. If you received a larger refund from your original tax return than you should have, you'll have to reimburse the IRS. Enclose a check for the difference to avoid interest and penalties. Do not staple or otherwise attach the check to your Form 1040X. If you're due an additional refund, you can expect it to arrive in approximately eight to 12 weeks. Refunds from amended returns can't be issued via direct deposit—you'll receive a paper check in the mail. In either case—whether you owe the IRS or they owe you—the IRS indicates that you should wait to receive your initial refund before filing your amended return. You also have the option of applying some or all of your refund to next year's estimated tax. Just indicate the tax year to which you want the IRS to apply payments on line 23. Sign and date the amended return. If an accountant helps you prepare the amendment, the accountant must sign and date the amended return as well. Mail your amendment to the same IRS Service Center that processed your original tax return. If you efiled that return or don't remember where you mailed it, you can simply send the amended return to one of the IRS Service Centers shown on page 15 of the Instructions for Form 1040X. Be sure to include any and all schedules that you've changed, and any new Forms W-2 or 1099s that represent changes from the information you filed with your original return. Attach the W-2s or 1099s to the front of Form 1040X. What Happens When You File an Amended Return? The IRS Service Center will make sure your explanations are sufficient and that you have documented the changes you made to your tax return. If the IRS needs more explanation or documentation, you'll receive a letter asking for the specific information needed. The IRS scrutinizes amended tax returns a little more carefully during processing so take extra care to make sure your new 1040 is as complete and accurate as possible. If you clearly explain why you're correcting your tax return and you back it up with proper documentation, the IRS is likely to process your amended return without fuss. 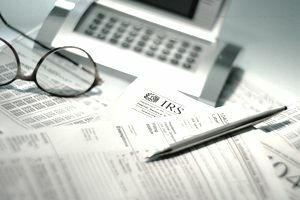 The IRS agent can look up most corroborating information on the IRS computer, but it will be easier and more efficient if he can see the documentation right there with your tax return. Do Amended Returns Trigger an Audit? There's no conclusive evidence that an amended tax return will trigger an audit. The IRS uses the same screening process for Forms 1040X that it uses for regular returns. What Income Goes on Line 16 of Form 1040? How Much Help Do You Really Need With Your Taxes?